When you’re going to be outdoors for a while and don’t want to stop to refuel. 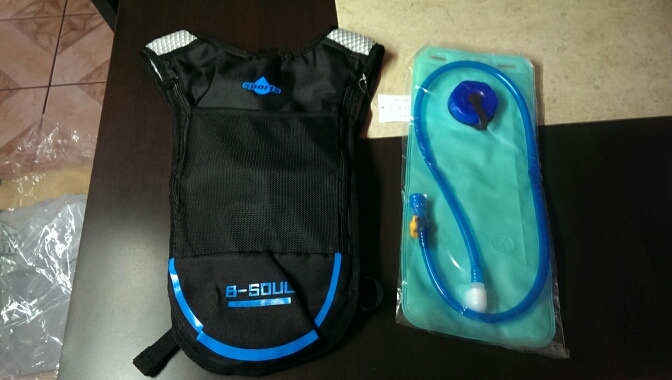 The B-SOUL 5L Hydration Pack with 2L Bladder will hold all your supplies to keep you hydrated all day. Store energy snacks and other essentials in the easy access outside back pocket. Use the lateral storage pockets for securing other items like cell phone, house key, or extra gear. Ventilated mesh S- style straps for comfort. Secure your straw to either side for a more customized fit. Simple rehydration with your easy to use bite valve. ⇨ Compact and lightweight. Breathable materials and design ideal for whisking away moisture. You’ll hardly know you’re wearing it. ⇨ You’ll be glad you have it with you if you’re spending the day at the halfpipe, hiking, or on your favorite mountain biking course. Keep all your essentials at arm’s reach. ⇨ Easy to clean bladder and drinking straw. A little warm mild soap and water and let air dry. Proper care of your hydration pack guarantees a crisp clean taste. - Suitable for outdoor activities like cycling, hiking, climbing, etc. Great product as description. Free the times. Arrived in less than 30 days, Super fast and high quality nice.